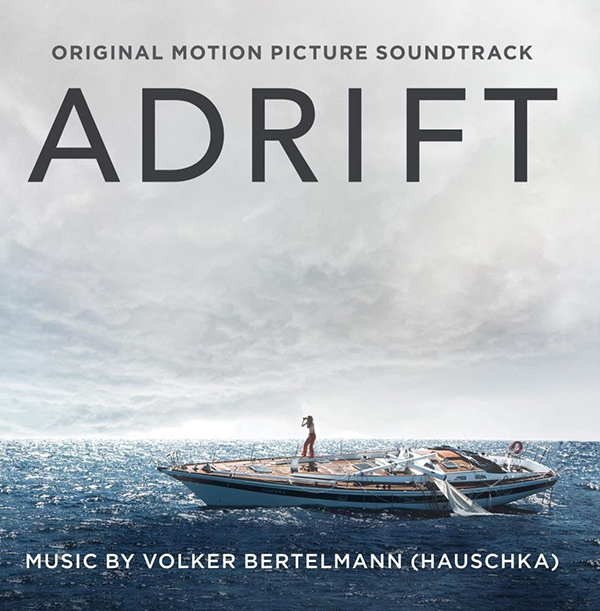 Sony Classical proudly announces the release of ADRIFT (Original Motion Picture Soundtrack) with original music by German composer, songwriter, pianist, experimental musician and Oscar® nominee, Volker Bertelmann aka Hauschka, available now. STXfilms and Lakeshore Entertainment open ADRIFT in U.S. theaters today. Hauschka says about the soundtrack: "Collaborating with Balthasar Kormákur was a wonderful experience and he gave me a lot of freedom to find the right sound for the film. Adrift tells a story about love and the fragility of human existence, so I wanted to create some sort of instrumental tension to reflect both the darkness and peril, as well as the lightness and love in this film. We ended up recording a full string orchestra at British Grove in London and added piano and experimental electronics to create a diverse and dynamic score. I'm very happy with the result, and I feel fortunate to have been part of this powerful film." Hauschka is the artistic moniker of German pianist and composer Volker Bertelmann, who is widely acclaimed for his experimentations with the prepared piano. Bertelmann’s debut as Hauschka came in 2004 with the release of his Substantial album. His relentless work ethic has since spawned over a dozen full-length records and almost as many film scores. A frequent collaborator, Hauschka paired up with renowned American violinist, Hilary Hahn, on an improvised album in 2012, Silfra, which was released by Deutsche Grammophon. In 2016, he collaborated with Dustin O’Halloran on the score for Garth Davis’ Lion, which was nominated for an Oscar®, a Golden Globe® and a BAFTA for Best Original Score. His recent soundtrack work, in addition to Lion, includes the films In Dubious Battle (2016), Exodus (2016) and TV mini-series Patrick Melrose (2018) starring Benedict Cumberbatch. Beyond his work as a recording artist, Hauschka is also prominent in the world of theatre and took up an artistic residency at the MDR Leipzig Radio Symphony Orchestra, where he partnered up on an orchestral piece with experimental pop band Múm. Hauschka recently signed with Sony Classical in a new long-term recording contract. The first fruits of this collaboration will be an album of melodic solo piano works, to be released in early 2019.